The Carpet is the No 1 Pick if you are looking for a board that combines piste, park and off-piste performance! It’s got a rather soft flex, yet a very fast pop. So you can really push the limits from performing small slope tricks to riding huge ramps. This Board has a slight camber reaching almost to nose and tail. But bevor nose and tail rise, the base is held flat which makes the board very freestyle-like and also helps to float in deep powder snow. The flat base area helps to perform easy looking nose and tail tricks and also helps on not so perfect landings. The cambered area makes the snowboard stable and easily controllable when you’re carving. In short: The Carpet is a great allrounder that will give you pleasure on, off and over the piste! We’ve been working with quite a few snowboard pros for over ten years and have tried and figured out a lot of things. Therefore, our know-how in raw materials, technologies and construction processes is outstanding. As we are making the boards in our own factory in Switzerland, it is obvious that we are not trying to build price point snowboards. Our boards contain only best materials that we exclusively get from suppliers from Switzerland and the EU. Every board is laminated with wet resin and vacuum pressed for several hours at a temperature of 40°C. This process eliminates all the micro air bubbles in the resin and provides best curing of the resin which results in a stronger and lighter composite construction. This is the reason why our boards keep the flex and pop for a very very long time. We are using triax fibre glass combined with carbon stringers and patches, depending on the model. All our boards have a unique wood core made from ash, poplar and paulownia wood which is very light in weight with great flex properties and at the same time is very strong. 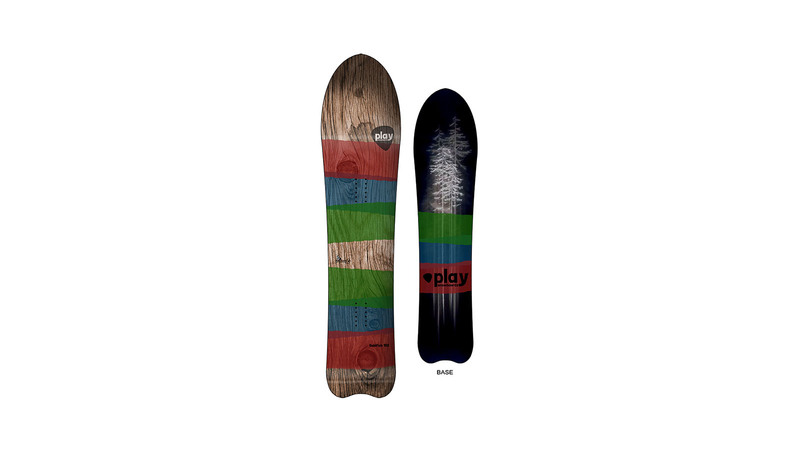 All Play Snowboards made at Factory 9 come with stainless steel edges which – obviously – don’t rust but also stay a lot sharper for a longer time. For the digital Prints on topsheet and base materials, we developed our own transfer process which allows us to print in very high quality and in very solid colours (black really is black…for example). We build all our snowboards, except for one model, in our own factory called ‘Factory 9’ (http://www.factory9.ch) which is based in Winterthur, Switzerland. We proudly stamp the ‘made in Switzerland’ label on all those snowboards! At the same factory, we also make custom boards for several pro riders, shops, companies (brands, and end consumers who want to have their own ‘pro model’ made. So far, this has been the best for us because we are super flexible and we can change production steps very quickly if needed. And, of course, the quality management is 100% in our hands. Currently, we have one model in the range which will be made at the Loxee Factory in Poland. We know their production quite well as we have been working very closely with Majesty Skis for quite a while now (we’ve made Telemark Skis for our own retail shop together with them). Loxee/Majesty is great to work with. We have a very good communication and the quality of their work is excellent. We only have boards in premium to middle price ranges. 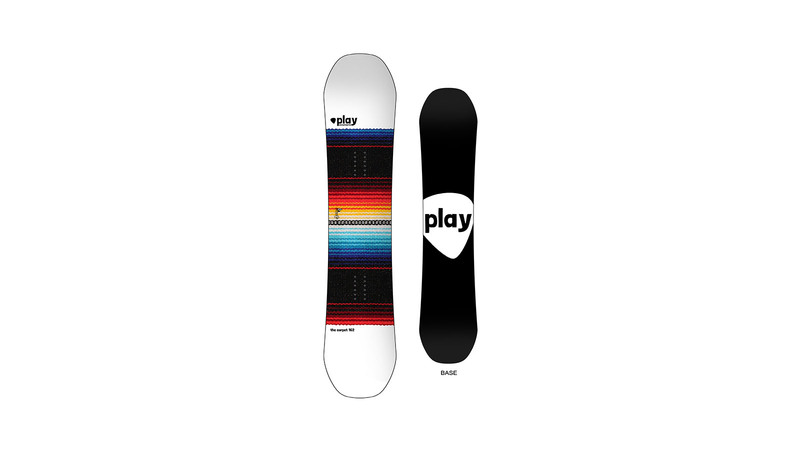 Starting at around EUR 500.- up to EUR 820.- (splitboard). For Swiss made snowboards shaped at one of the most successful custom factories, these are very fair prices, we believe. We’ll stick to our rather calm graphics with subtle colours and patterns. Some models will also have some surf and/or mountain related photo-graphics and we’ll have some hand sketches in there, too. Snowboarding is fun! That’s our policy with Play Snowboards. Our name is program and if you are open to it, we guarantee you will have unlimited fun on our snowboards. As we are working with many pro riders on the world tour, it is our focus to point out that story. Our boards have made it on the top of the most important podiums in the beautiful sport of snowboarding – Olympic Games, X-Games, World Championships, etc. We are very proud of it! Also, the fact that most of our boards are ‘made in Switzerland’ will be rolled out in all communication.